“In Red We Trust” system is one specifically designed for use at the roulette wheel. 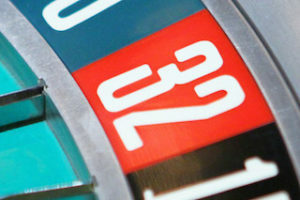 Many betting systems in roulette are based upon a number of spins, with the stake changing depending on the result of these spins. This system is designed for standalone spins, with a large amount of coverage of the betting outlay. We find it perfect for playing roulette online. 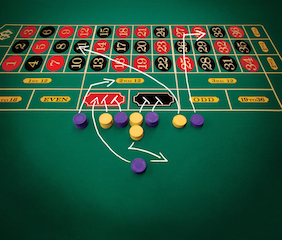 In this article, I explain how this system works and then break down how much you’ll win or lose when hitting certain areas of the roulette table. I’ll then look into the advantages and the disadvantages of this winning roulette system. Finally, I will finish with an overview of good roulette strategy of using roulette bankroll management. At first look, this roulette winning system can look somewhat complicated, as you’ll be placing bets totaling 25 units at the table. It is advisable to use this system at a European table, as the game features just one zero. Since it is a little complicated it would be advisable to either try this system at a free roulette table or for very low stakes before playing for your normal amount in case you need some time to practice. There are many casino sites where you’ll be able to play for free without even signing up. We recommend Bovada.lv for the US-based players or Betway.com for the international players. For this payout chart, I’ll assume you have placed the bets to a $1 unit stake, meaning an overall outlay of $25. I have also added the number of slots this result covers in brackets. At first, look, although you’ll be placing 25 units on every spin, you will always have a return. Another fact you might notice is that you’ll only make a loss on 18 of the numbers, and with a European wheel featuring 37 slots; this means you’ll make a loss less than half the time. The other thing you might notice is that the biggest wins outdo the biggest losses by almost 2 to 1. Another advantage when using this roulette strategy what works for playing roulette online for real money is that once you set up the bets, which can take a little while you’ll be able to save your betting set up and just repeat over and over – taking out perhaps the most complicated part of the process. Unlike other systems, this is for individual spins only, meaning you won’t find yourself in a position where you’ll be betting amounts that might be uncomfortable with – so you’ll be able to play sessions for the length of time YOU choose. You’ll notice that if you hit a black number in the second or third dozen, you’ll suffer a loss of 15 units. Unfortunately, this big loss will happen more often any other result – 12 times. You’ll also make a ten unit loss on another six occasions (red numbers in the first dozen). In fact, you’ll only actually make a profit on 13 of the 37 numbers. 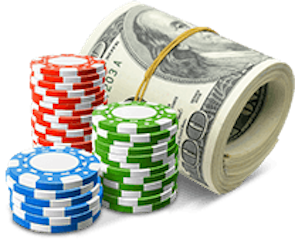 You may use the winning roulette betting system plus use the best roulette bet combination but the roulette strategy that works revolves around proper bankroll management. The biggest mistake we see is when new roulette players wager more than necessary before getting comfortable with playing roulette for real money. We recommend reading our primer to bankroll management to avoid an early departure from the roulette table due to loss of all your money. Roulette is an enjoyable game and one way to make it even more enjoyable is to employ the use of a system. This betting strategy is certainly interesting and offers something different. You’ll experience that nice feeling of receiving chips after every spin and you gain a nice extra if hitting 16, 18, 19 or 21. In any form of roulette, you’ll always be at the mercy of a house edge, so in the long run, you’ll not be able to beat the house, so systems should be used for fun.